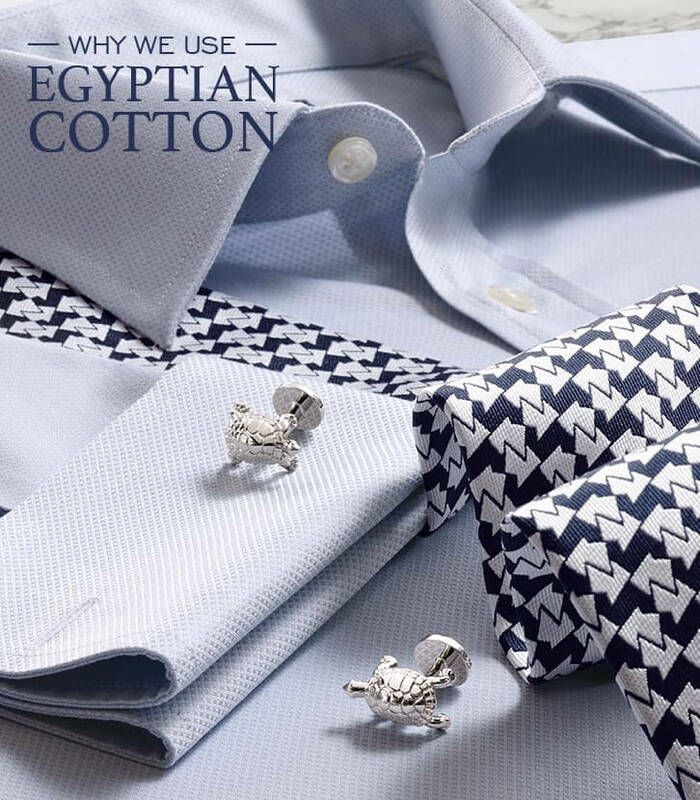 We often use Egyptian cotton in our formal shirts, simply because it is the very best cotton in the world. Using this luxurious fabric makes a shirt visibly silkier, stronger and more breathable than regular cotton. The difference is so apparent, you will always look good and feel confident in a Tyrwhitt Egyptian cotton shirt. Scholars believe that people first began harvesting cotton around 7,000 years ago in Mexico and India, and by the 16th century cotton was widely used around the world. Ancient Egyptians were probably growing some form of cotton in the Nile Valley as early as 3000BC; however commercial production of the world-famous Egyptian cotton we know today did not begin until relatively recently in the 1820s. When this superior Egyptian cotton was introduced to Europe, it was prized for its softness, silkiness and breathability. 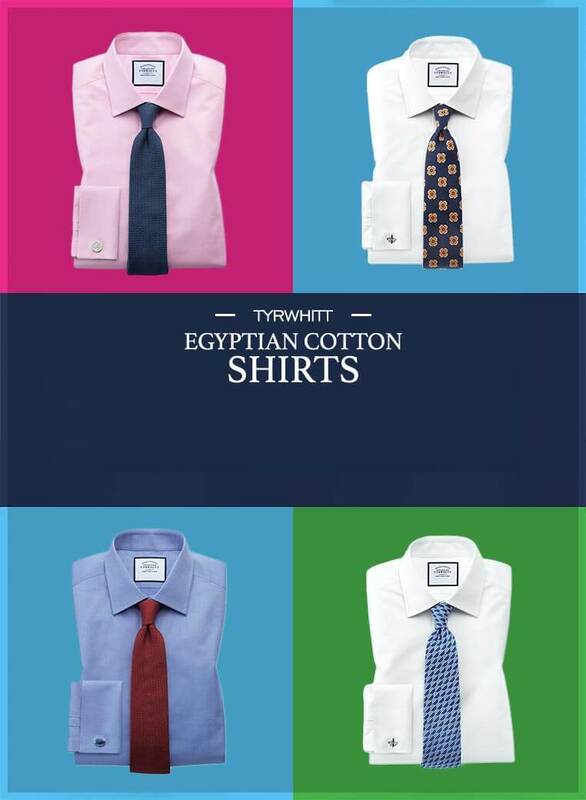 Today Egyptian cotton can be found in everything from bed sheets to beach towels to bathrobes - and of course, a proper shirt from Charles Tyrwhitt! Why is Egyptian cotton different? The fibres in Egyptian cotton are longer than regular cotton, meaning there are fewer splices when the cotton is woven into yarn. This results in threads that are softer, smoother and more resistant to stress. Egyptian cotton fibres are also finer than regular cotton, which means more of them can be used in one shirt. Having more threads per square inch of fabric produces a stronger cloth that is lightweight and very breathable. What's more, the extra long fibres mean Egyptian cotton is resistant to pilling and will actually become softer with each wash, so an Egyptian cotton shirt will look and feel better for longer. The cotton in our Egyptian cotton shirts is hand-picked to make sure it’s the best quality in the cotton field (unlike machinery-picked cotton that can be damaged during the picking process). After it is picked, the cotton is spun in Italy by a fifth-generation spinner, using traditional techniques and fresh Alpine water. Thanks to the high thread count, there are around 378,000 yards of cotton in each of our shirts. This means our Egyptian cotton shirts are as soft and smooth as silk, but much cooler and easy-breathing. They are truly luxurious against the skin. 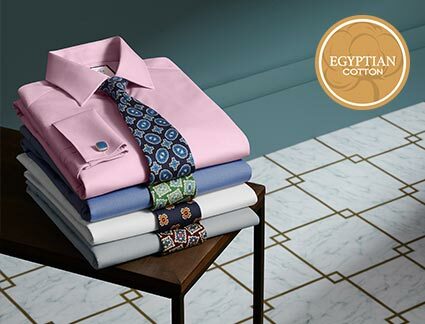 Treat yourself to a Tyrwhitt Egyptian cotton shirt and you will quickly feel and see the difference.